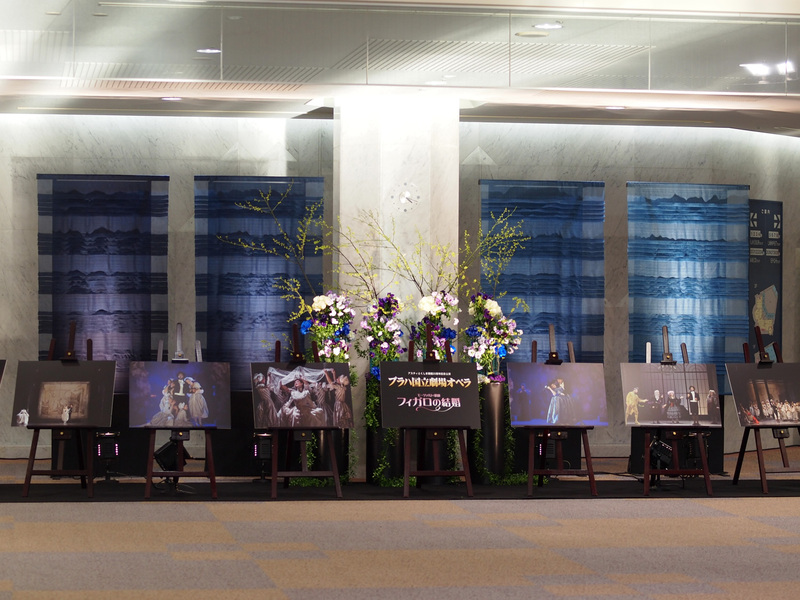 On January 14, the opera “The Marriage of Figaro” was performed by Prague National Theater Orchestra was performed at Asty Tokushima in Tokushima City, and our special tapestries “gosen,” imaged as a musical score, was used for the welcome decoration at the entrance hall. One of common things between Tokushima and the Czech Republic is “indigo.” So, I prepared some dyed items from Czech with Violka’s help. I could see the traditional European-style patterns on them. So cute.